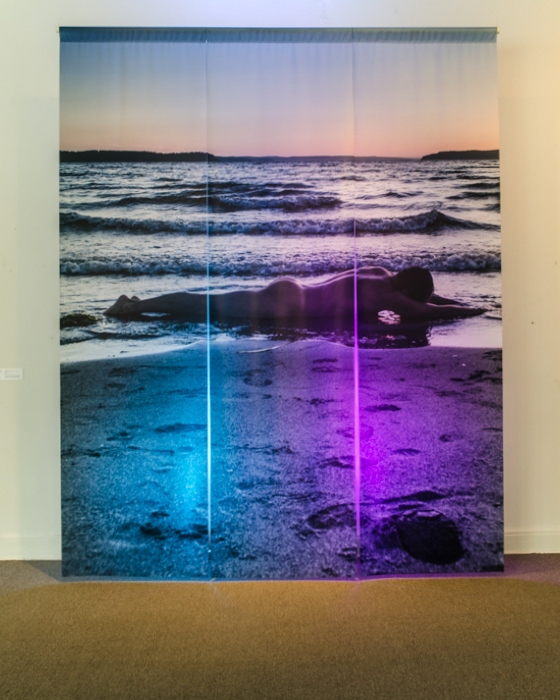 The photography installation, "Transmutation of Love," (at right). "In the gap between water and land, the creative force rises. Emergent, damp and constantly shifting, waves of light and water pull and push us into ourselves. The limits of gender, culture, race have shifted. We love across boundaries and challenge useless norms." It is a lighted triptych installation which is rendered on synthetic silk at 108" by 135" x 20".